Officer Amy Caprio’s funeral services begin Thursday, May 24. Her accused killer, a teen, is being charged as an adult. 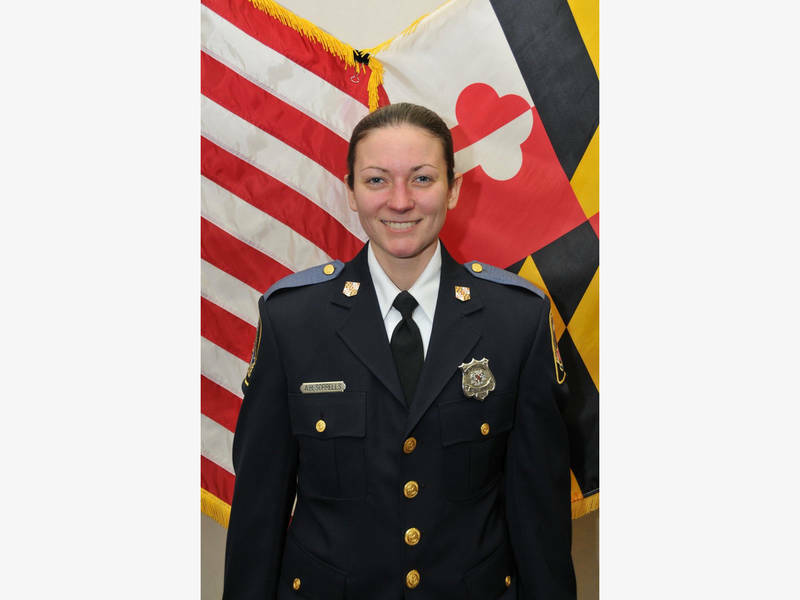 PERRY HALL, MD — Baltimore County police have identified the police officer killed in the line of duty Monday, and released more details about the death of Police Officer First Class Amy Caprio, 29. She was responding to a suspicious vehicle call on Linwen Way in Perry Hall when she was hit by a group of burglary suspects’ SUV and killed, but she fired a shot at the oncoming Jeep in the process. A Baltimore teen is being charged in her death, which Baltimore County officials confirmed is the first female line-of-duty death in the department’s 144 years.